A wonderful spirit of camaraderie, cooperation and mutual support exists in the world of craft brewing. We have harnessed this spirit fully in the crafting of this special collaborative brew dedicated to the resilient people of Japan who are bravely endeavoring to overcome the tragedy of the March 11, 2011 earthquake and tsunami. 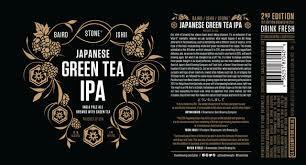 We tip our brewing hats to the quiet elegance and humble sophistication of Japanese culture through the judicious addition of Japanese whole leaf green tea to this big, bold, spicy and herbal IPA. Cheers, Japan! Funkwerks Brewing is Coming to Iowa!